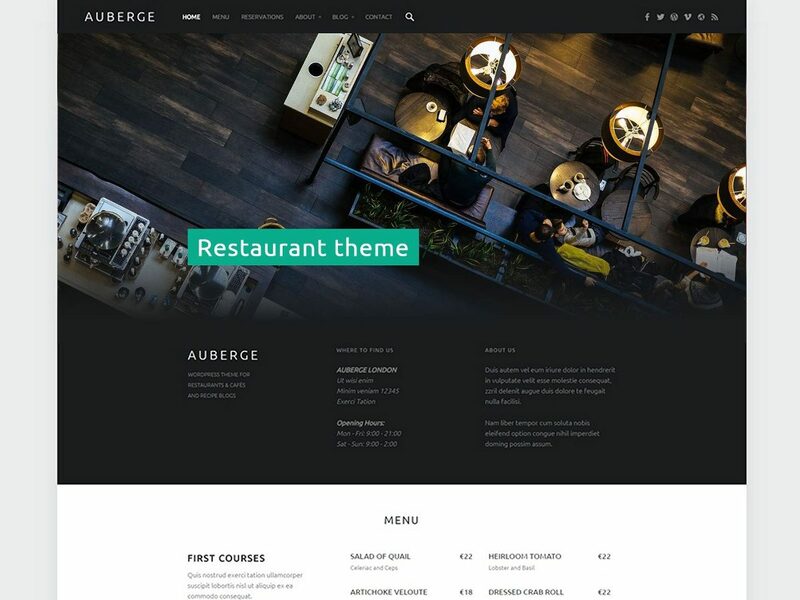 A free version of premium Auberge Plus WordPress theme. Unlike its paid counterpart, this free version does not contain recipes blog functionality. The theme has got the same features as paid Auberge Plus theme except the recipes functionality. Please check Auberge Plus premium WordPress theme for more info about theme features. As this free theme is distributed via WordPress.org official themes repository, you can install it directly from your WordPress dashboard. Just search for “Auberge” in Appearance » Themes » Add New.